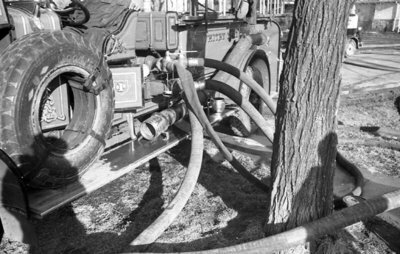 Black and white negative showing a Whitby fire engine at the Holman house fire at 709 Brock Street South. Holman Residence Fire, 1938, Marjorie Ruddy. Whitby Archives A2013_040_091A.